This is quite a surprising change. 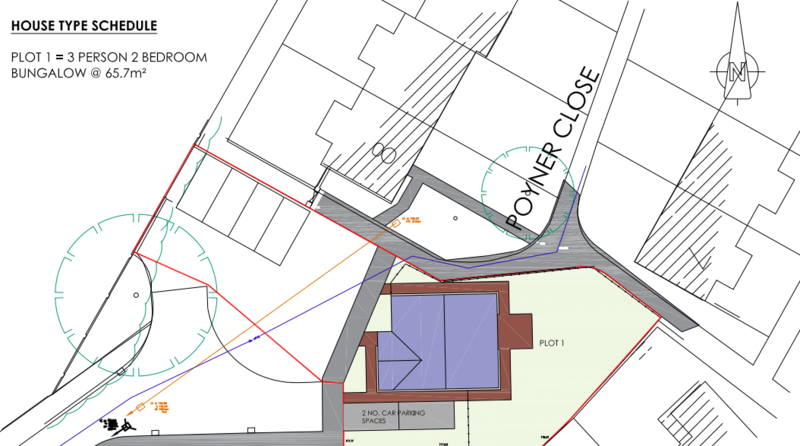 In March, Shropshire Housing Group (SHG) submitted an application for two social housing bungalows on Poyner Close, off Gravel Hill in Ludlow. These proposals received 14 objections, including from Ludlow Town Council. 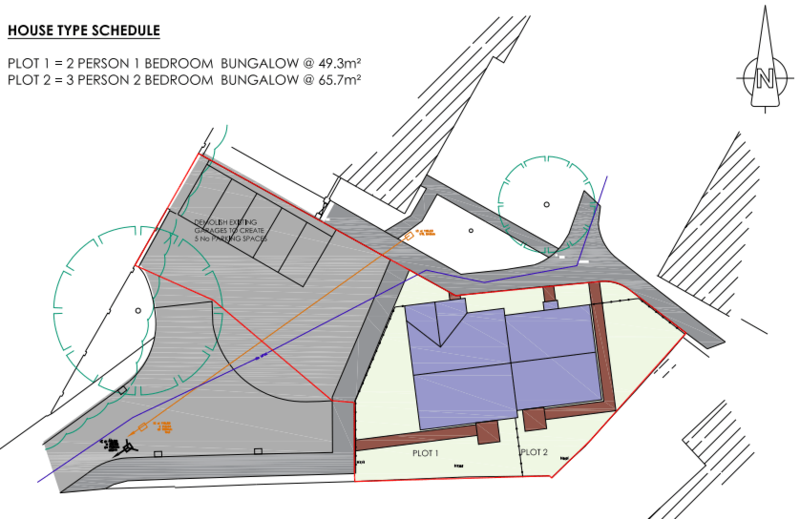 Now, SHG – a social housing supplier – has rescinded the plans for the social bungalows, replacing them with a single bungalow for sale on the open market (17/01372/FUL). No explanation is given for the changes to the plans. No statement has been issued by SHG. The revised plans are submitted to a reconsultation, not a full consultation. The timetable for consultation on Shropshire Council’s planning portal has not been updated, but usually there is fourteen days from notice of the reconsultation for additional comments. 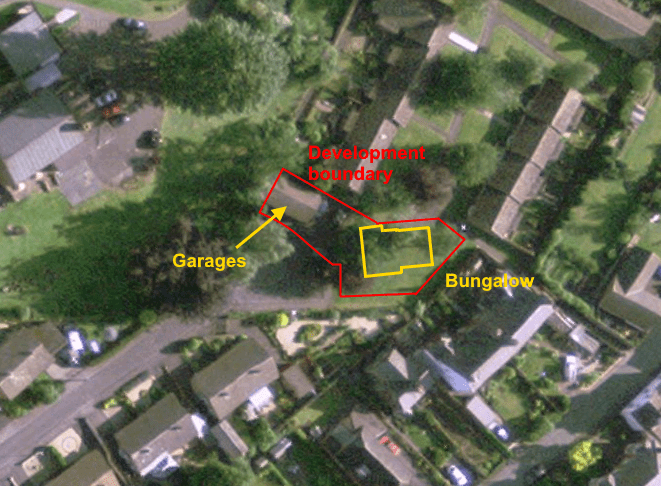 The original proposal for five unallocated parking spaces are replaced by two private spaces for the bungalow. The development area, shown by the red line, remains unchanged, even though one third of the site will not now be developed. The garages on the site were due to be demolished. Now, their future is unclear. I’ll update this blog if any further information is provided by SHG. Nearby residents attended Ludlow Town Council last night to express concerns about the scheme. I think it is unfair that people are being asked to comment on plans that are substantially changed from the original application without an explanatory statement from SHG. Tracey Huffer has called this application into the Shropshire Council, though she does not have a final word on the call-in.